I looked in the mirror the other day and realized I have hooded eyes. As I’ve aged, gravity has pulled down the skin below my brow so that it seems like I no longer have eyelids. I could fork over the money for an upper blepharoplasty, but honestly, I’d rather spend my discretionary income on other things. I have other problems I noticed while I was staring in the mirror examining my eyes. For starters, my eyelids are getting a crepey texture. And my eyelids have freckles now, thanks to a misspent youth in the sun, as well as dark patches that affect the color of any eye shadow I use. What to do? Well, for starters, I need to adjust my makeup to my new reality. The routine I’ve developed over the years of putting on a swipe of brown eye shadow and some black eyeliner. Time to learn some new techniques. I spent this weekend watching tons of makeup and skincare videos on YouTube to see what tips I could learn to help me feel a bit more confident in aging gracefully. 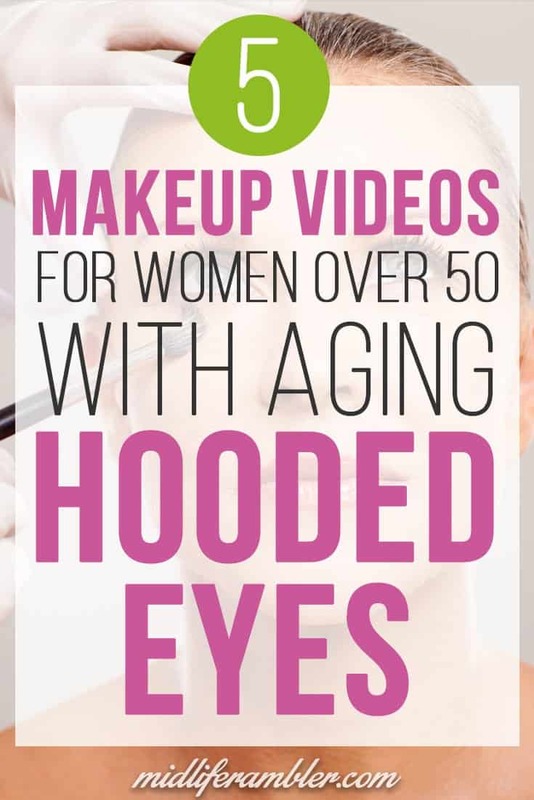 Here are five of the best makeup videos I found for women over 50. I watched this video multiple times. 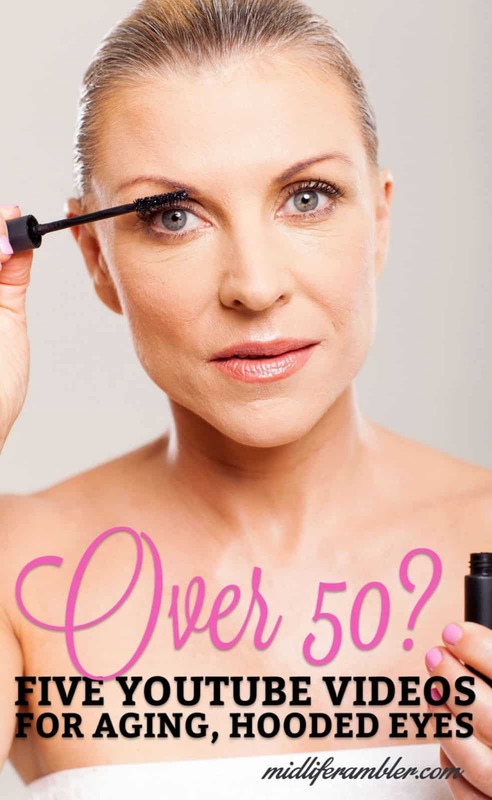 She covers everything an over-50-year-old woman needs to know: why women our age absolutely need to wear eyeshadow primer, the new technique you need to start using to put on your eye makeup, and how to place darker colors to create a crease. In general I find I prefer videos by women my own age, because I feel like they truly understand what I need and also partly because I subconsciously believe that following the makeup tips in a video will make me look exactly like the woman in the video and so I’m always crushed and disappointed when I try to copy the tips from a beautiful 25-year old woman. However, I made an exception for this video because of the amazing tips she shared for making sure your eye makeup lifts your eyes up. This is a pretty intense smoky eye look, but if you tone down the eyeliner, it’s still fine for daytime. Another video from a young beauty vlogger but she’s using an appropriately older model and I love the makeup look she shows. I also appreciate the look of terror on her model during the early stages of the video. Her model is calm and happy by the end, though and deservedly so – she looks amazing. This is, hands down, my favorite video and my favorite beauty vlogger. I watched all 26 minutes with rapt attention and then I stood up and drove to Sephora to buy everything she mentioned. Tammy is amazingly beautiful and her videos are endearing and full of the necessary details for makeup newbies like me. I’ve watched several of her videos; she’s always an informative delight. I could just share more uppiesbeads59’s videos, but I really want to include this final video. The difference she shows between the right way to do your makeup when you have hooded eyes and the wrong way is stunning and all the more shocking to me because I was pretty much doing my eye makeup the wrong way. Now I’m informed! I’m still practicing these new skills but I’m getting there. I’m a little horrified by my previous eyeshadow technique, which featured heavy liner. I’m slowly learning that, as I age, more is not always better. These are great tutorials and tricks! I don’t have hooded eyelids, but there is crepeyness and sun damage. My brows have thinned and lightened up so I am always on the hunt for good brow makeup and tricks. Very timely comment Terri! I’m also dealing with thinning eyebrows and I’m about to investigate some ways to deal with that issue. Stay tuned! Yes – tutorials on eyebrows, please! Mine are suffering as a result of aging and over-waxing. Thank you! I have the same issue. Anastasia is the name for any brow enhancement… and the “pot of gel” I find to be the best. I have discovered one shade lighter to be the best option. I use a pencil first? Either type of pencil, to basically draw your favorite shape. I have two slanted brow brushes- one shorter than the other. I know it takes a bit longer, but I keep a tiny cup of water next to my application area to ensure accuracy, and swipe at the end for a realistic look. Thanks for the tips! I’ve also recently switched to using a lighter color then the one shown in the pictures- it looks a little more natural for every day use. Trish McAvoy , or Benefit for eyebrows . They are great . With the right shade they look very natural . Thanks Mel – I’ll have to try! I imagine you’ve solve this problem by now. Fortunately a lot of the make ups now come with wax and brow powder. I’ve always had very light eyebrows both in color and amount of the brow. This is been the best solution so far. Good tips. I have a slight difference in shape of eyes, due to eye operation, didn’t wear eye make-up for ages. Will definitely try new techniques, I like the primer. Thank you! I will purchase the smash box primer. I don’t care for the one I have. I’m excited to check out the new techniques. How can I get a list of of the products from Stephanie Lange’s her Mature Makeup video?